There are a number of steps that you can take to save your inheritance. For many parents these days, it appears that getting their children onto the housing ladder is the best way of spending their savings. However, for those that are slightly older, there are the conflicting needs of providing for their own old age and ensuring that the taxman does not get too much Inheritance Tax (IHT) when they die. 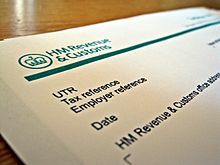 Married couples can die with total assets of £650,000, before there will be any Inheritance Tax to pay. But if they have only a further £100,000 of assets, HMRC will take massive £40,000 in tax. One of the biggest problems in planning for IHT is that the people who are really interested in saving the tax will be those that will be inheriting, rather than those who will be leaving the money. In addition to the problems of IHT, older people may also be facing the problem of care home fees. Although the government is promising to limit the requirement of individuals to pay for their care to £75,000, this promise will only cover the contributions made towards nursing care and will not apply to the other accommodation, assistance and food elements. For many couples, the potential cost of accommodation in a care home will far outweigh any possible liabilities for IHT. As always, it is vital that any planning steps that are taken to reduce any future liability that could accrue for either care home fees or IHT are taken well in advance and are properly implemented. Although, it is a difficult subject to bring up, it is true to say, that without proper early planning the final days of someone’s life could turn out to be the most costly not only for them, but their wider family. We have access to a number of planning strategies that can save your inheritance from both IHT and care home fees.